When you self-publish a book - as I did with Cusp - you take on all the responsibilities of publisher as well as author: from cover design to distribution to marketing. Since the book came out in May, I have been on the latter end of that demanding ride, getting the word out. I hired a publicist, who got the book great coverage including some reviews. I got it into some local bookstores (Chevaliers, Vroman's and Diesel Malibu) and encouraged readers to review it on Amazon. And I started churning out the copy for social media. I do social media marketing for a living, so I know all about the importance of blogging, as well as Facebook, Twitter, Pinterest, Tumblr, LinkedIn, YouTube, and on and on ad infinitum. I've written more than 100 posts on this site. I've uploaded pictures, linked to several radio interviews, tweeted and pinned. It's exhausting - not unlike writing a book! And now, after three months, I need to move on. I need to focus on writing something new rather than flogging what's already done. Writers - especially this writer - can be excellent procrastinators. "I'll get back to my manuscript as soon as I check my email...make dinner...write those tweets for my client...read Phyllis Diller's obit...listen to Alec Baldwin interview Billy Joel...finish up this week's 'Song of the Day' features for cuspofeverything.com." I hereby vow to get back to my manuscript. You'll still hear from me from time to time, and not just when an artist mentioned in the book dies. I'll still blog and tweet and pin and post (and check my email, make dinner, work and procrastinate). But mostly I'll be concentrating on what's next, not what's done. 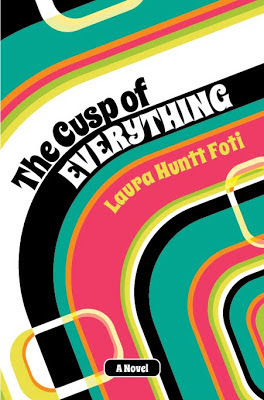 Click to purchase The Cusp of Everything, the first novel with a full soundtrack. It's a time-travel back to Westchester County, New York on the eve of America’s Bicentennial. More than 200 songs run through the text, setting the tone for the era and the action. More than 250 songs, artists and movies are woven through The Cusp of Everything. Want to reinforce Cusp's '70s atmosphere? There are three different ways to play Cusp's songs: iTunes, Spotify and Amazon. In the list below, click on a name to link to a clip on Amazon. The dates following the songs and albums give the year of release or entry onto Billboard's Top 100 chart. CHAPTER 3 - Could This Be the Magic at Last? CHAPTER 8 – Why Can’t We Be Friends? Laura grew up in Westchester County, New York, the setting for The Cusp of Everything, and has lived in Los Angeles for more than 20 years. 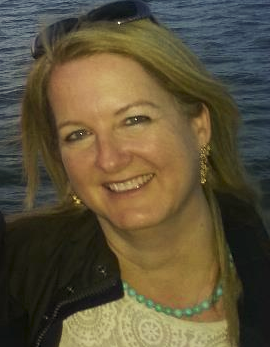 Following a successful career in journalism, the music business and the interactive world pre-web, she now works as a freelance writer, editor and consultant. The Cusp of Everything is her first book. You can reach Laura at cuspofeverything at gmail. © 2013-2018 Laura Huntt Foti Email: cuspofeverything at gmail.com. Simple theme. Powered by Blogger.